If you haven’t booked a Concert Ticket on an Auction site (or in any other site) here are Tips! Sign Up & Log In. It was my first Kpop concert and that meant that it would be my first time booking a ticket. When the time the tickets open I clicked the Buy Button but I was informed to sign up 😦 so there was a slight delay when I bought the tickets. So it’s really important to sign up first, then Log In before the ticket opening. Well, for a group that has A LOT of fans, it is really important to be fast so you can have that concert slot you want so badly. Click that Buy Button when the clock hits the time — as in — Press and choose your slot. I clicked the button on time, but I was shocked when slots are getting fewer. Make sure you have your card handy – You will use this in buying your ticket. Don’t Overthink and Pay that ticket! – Well don’t overthink. If you really want it, YOU WANT IT! The concert I have long been anticipating for! 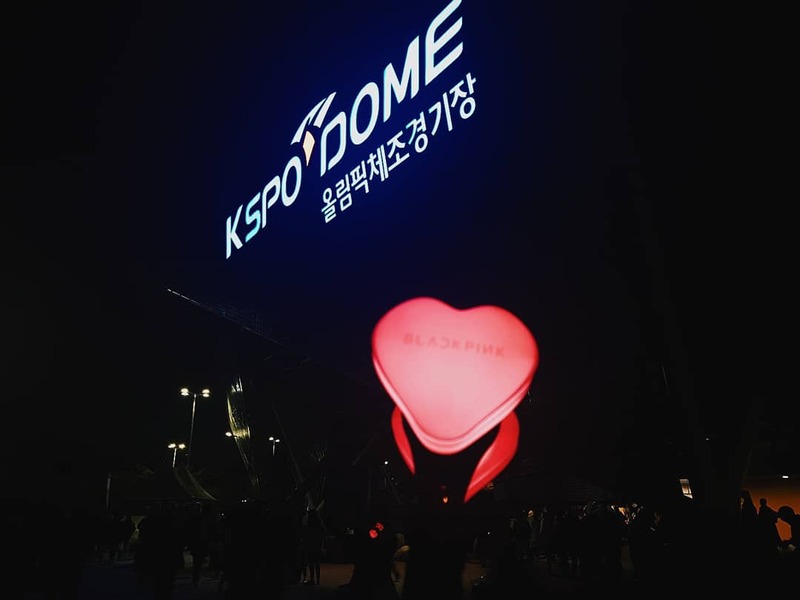 I was so excited because it’s my very first K-Pop concert. I really (literally) felt the butterflies in my stomach, I can’t hide my excitement!!! The concert was held at Olympic Stadium. There were Blackpink merchandise being sold at the venue, we bought our Lightsticks @ 20,000 won. In all fairness their opening .. is so Lit! Other says that BlackPink only has 9 songs – How can they handle a concert. Nahh-ah the concert was 2 hrs+ Enough for you to Enjoy! – Jisoo is the non english speaker in the group. But she sings Clarity so well on English and Korean language. What a voice! Soo Pretty. 7. Rose – Angelic Voice ..
– I really love the voice of Rose and she is my Bias. By the time she opened her mouth to sing I really felt goosebumps all over my body. What an angel. – Jennie’s album was released on Nov. 12 and the concert was on Nov. 11. I was not really expecting that they would show the Full Music Video during the concert, like I was so happy that I’m one of the many who saw it first. And Jennie also performed it at the concert, so YAY!! She is so hot, pretty a total performer. 13. Zion T (Guest) – He Sings. I didn’t know him. But Korean fans cheered for him so loud. 16. They even have a dance performance, Four of them SLAYED IT as usual. The audience/fans also sang along during the chorus part of Forever Young and Stay. I’m one of them who sang. And that’s the nicest way of showing love. Go Go Blinks. Jisso and Rose post it in Their IG Page. It’s really a experience different when you see it live – to cheer for them with your lungs out! Seeing them in person even if your far away. One thing that I can say is that IT IS SO MUCH FUN!! **When sharing our videos, please don’t forget to credit pinayunnies.com!